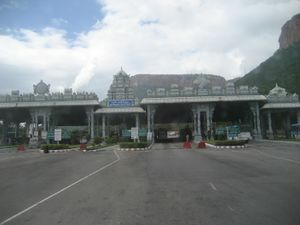 Tirupati is in Chittoor district of Andhra Pradesh, India. It is most famous for its Sri Venkateswara Temple dedicated to Vishnu, also known as Balaji in North India and Govinda in South India. The temple is located on top of Tirumala hills, while the town is located on the foothills. 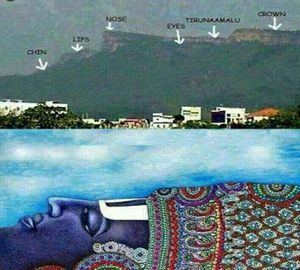 The Tirumala hill has seven peaks ("Sapthagiri"), said to represent the seven hoods of Adisesha, the serpent under whose hoods Vishnu resides in Vaikuntha. 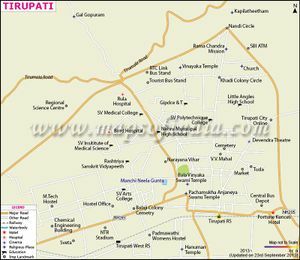 Tirupati is situated in the southern part of Andhra Pradesh. Tirumala is located in the eastern ghats, a mountain range that runs along the south-eastern India. The temple of Lord Venkateswara is located on the seventh peak Venkatachala. The nearby town called Tiruchanoor (also known as Alamelu-Mangapuram) is covered in this page too. Lord Venkateswara is also called the Lord of the Seven Hills. This temple has acquired a special sanctity in the Hindu religion. The benefits that accrue by a pilgrimage to this holy town is mentioned in the Vedas and Puranas. Hindus all over the world believe that in Kali Yuga its possible to attain mukti by worshiping Lord Venkateswara. Around 50,000 pilgrims visit the temple every day. The Pallava, Chola, Pandaya and Vijayanagar rulers were known to give funds and jewels as temple offerings. While in Tirumala you will keep hearing most pleasant Chanting of god ("OM NAMO NARAYANAYA"). Indian Airlines operates daily flights to Hyderabad (New Delhi) @ 14.20 Hrs; Jet Air Ways operates daily flights except on Tuesdays to Hyderabad @ 13.50 Hrs. 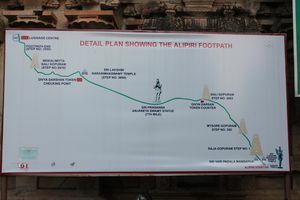 From Chennai airport to Tirupati: Use this route if you have little luggage and are comfortable walking for short distances (and want to try a cheaper, alternative route to Chennai Central). From Chennai airport, you can walk over to the local suburban railway station (Tirusulam, about 5 minutes away) and take a local train to Park Station (Rs. 7, about 30 minutes). Chennai Central is a 5-10 minute walk from Park Station. From Chennai Central, there are frequent long distance train services to Tirupati. Tirupati is a major junction in South Central Railways. Indian Railways  operates direct trains from near by metro cities - Bangalore, Chennai, Hyderabad and other major Railway stations to Tirupati. Trains can be boarded at nearby cities - Renigunta (10 km from Tirupati) and Gudur (100 km) as well. Frequent bus service is available between Tirupati, Renigunta and Gudur. National Highway NH 205 passes through Renigunta and hence is accessible from Chennai (3-4hrs), Bangalore (5+ hours), Hyderabad (10-12 hours) and other nearby cities. APSRTC Online Bus Booking - Book bus tickets online to Tirupati from major cities across Andhra Pradesh. Through Public transport service like Trains, Bus available from nearest mega City Chennai. For hassle free and for convenient travel, people choose car rentals from Chennai. Chennai to Tirupathi travel distance is 155 KM. Tirumala is a world in itself, millions of pilgrims from all over India and abroad visit the temple of Lord Venkateswara at Tirumala round the year. In addition to various shrines scattered all over Tirumala and beyond there are holy water falls, sacred rivers and archaeological wonders. It is regarded as one of the most ancient temples which were mentioned in Puranas and Sastras. The temple is patronized by the Pallavas, Cholas, Pandyas, the Vijayanagar Rulers and the later kings of Mysore. Hastakalaramam, Papanasanam, Akasganga, Gogarbham, Shilathoranam, View Point, S.V. Museum are the other places worth seeing at Tirumala. Kapilatheetham, Hare Rama Hare Kishna Mandir, Regional Science Centre, S.V.Zoological Park, Srinivasa Mangapuram, Kalyani Dam, Chandragiri Fort, Tiruchanur, Govindaraja Swamy Temple are the other places worth seeing in and around Tirupathi. Visit the Sri Varahaswami temple before taking the darshan of Sri Venkateswaraswami. As per traditions and legend, Varahaswami owned the seven hills and agreed to give them to Sri Venkateswaraswami with the stipulation that he too is worshiped. Therefore, Sri Venkateswaraswami asked his pilgrims to visit the Sri Varahaswami temple before visiting him. Carry Extra locks for your vehicle as well as rooms. Eat Meat, Egg and Fish (non-vegetarian food) Considered as Meat in Hindu religion. Wear flowers - all flowers are for the Lord only. Spit or litter or create any kind of nuisance. Carry mobile phone/camera/pager/video camera etc. while going for darshan. They are banned inside the temple (inner) sanctum. Ladies will need to wear traditional Indian sarees, or failing that, should bring a dupatta (long scarf) to wear across the neck. Basic white dupattas can be bought at the temple entrance for 80 rupees (April 2014). The local markets here, like in most other temple towns of India, sell photos of the deity idol in frames of various sizes, statues and other items considered sacred & symolic of the deity. Many Tirupati related articles/souvenirs can also be purchased and a shopkeeper shall be only too happy to assist you with that. The SAPTHAGIRI magazine was started as a TTD bulletin in 1949. Currently, it is circulated all over the country as an illustrated, religious magazine It is a monthly edition and available in five languages - Telugu, Tamil, Kannada, Hindi and English. After seeking the darshan of Lord Venkateshwara, you get free meal coupons at the SriVari temple. The simple meal consists of rice, sambhar (heavily dal/lentil veg soup), chutney, rasam (light soup), and vegetable curry. Hotel Lakshmi Narayana Bhavan: This pure vegetarian hotel is located @ the tirupathi central bus stand(CBS) and is reachable in a 5 minute drive from the tirupati railway station. Food is good at reasonable rates and cleanliness would be 4 in a scale of 5. Opt this if you want a quick lunch,save time to roam around Tirupathi and like to finish off the food job at cheap rates. Hotel Bhimas Paradise: A luxury hotel with high priced food. You get continental items here. a 5-10 min drive from the CBS and the tirupathi railway station. Hotel Udayee International: a Hi fi hotel with yummy food. Nice varieties. a 5-10 min drive from the CBS and the tirupathi railway station. Add to visit Gajendra Juice palace situated at Bhavani Nagar in Tirupathi, to your eat list. The chat services are really good, but be aware! the area wouldn't be that neat. 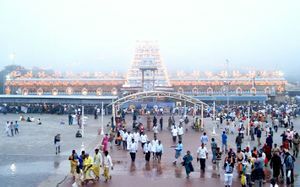 Tirupathi and Tirumala is a pilgrimage town. People on pilgrimage don't drink or eat Meat (non-vegetarian food) including Egg and Fish. Consumption of liquor is prohibited in Tirumala. Smoking is also not allowed in Tirumala. For Drinking it is advisable to use bottled mineral water only as the water available here might be sour in taste. As mentioned in the later section, the laddu of Tirupati is considered to be "nearly" as famous as the deity himself. Mayura: Mayura, right opposite APSRTC Bus Stand, is by far the best restaurant for authentic Andhra Veg Food; though costly. Next is the Restaurant at Hotel Minerva Grand, that is opened recently. Hotel Minerva Grand is the best hotel in the town. It is right next to Reliance Retail Market and a considerable walk from the main bus stand. Hotel Fortune Kences is another good option, which is right opposite APSRTC Main bus stand. Sr Varahaswami Guest House, Rambagicha, HUDC, Travellers Bungalows Cottages Area (Rs. 15 to Rs 150 for Non AC accommodation). 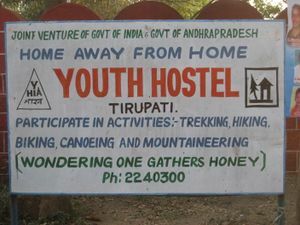 TTD also provides free accommodation in choultries. 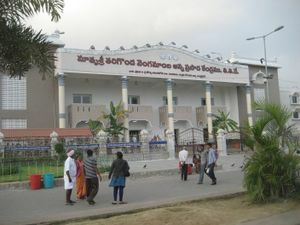 Pilgrims can contact Central Reception Office near Bus Stand for free accommodation. Reservation for AC accommodation and Non-AC accommodation above Rs 100 per day can be made only at the Central Reception Office, Tirumala. For reservation of Non-AC accommodation upto Rs. 100 per day, Pilgrims can make reservations upto 30 days in advance. Reservations can be made in person at TTD Information Centres in Delhi, Mumbai, Chennai, Bangalore, Hyderabad, Pondicherry, Visakhapatnam and other district Head Quarters in AP, by paying the requisite amount. Alternately reservation can be made by sending a Demand Draft (DD) for Rs. 100 drawn on any Indian nationalised bank in favor of 'Assistant Executive Officer'. The DD has to be posted to Assistant Executive Officer (Reception-I) TTD, Tirumala - 517504. For multiple rooms, it is advised to take multiple DDs for Rs 100 each. Be warned that at times of the year, and around festive occasions you have to book in advance. If you are travelling budget, your best bet is to stay with the TTD, the rooms tend to be clean, well lit and the housekeeping facilities are acceptable. Suggested places, , Kanchi Mutt amother than TTD lodges are the Kashi Mutt, Ahobila Mutt among several others (all are close to each other on a ring road, and can be approached by foot from the temple). Be warned though that priority is given to people associated with the mutt's community and you will neither get room service nor air conditioned rooms - but the rooms are well maintained, clean and come with clean beds and sheets. For the Mutt maintained lodges, prior registration is strongly advised. However, do not have high expectations on cleanliness when staying in these mutts. Some of the examples by various travelers that cleanliness of these mutts aren't guaranteed. This page was last edited on 26 February 2019, at 16:47.